Home » 5 Freshest » Venco Licorice Chalk : School’s In Session Yo. I’m excited about this one. Why? Because I’m so used to bemoaning the availability of legit licorice in the US. Things have gotten better, but there’s a world of unique and delicious licorice varieties that us losers in the US will never get to try. One that I’ve always been intrigued by was “licorice chalk”. And until now, I really didn’t know what it was, aside from the fact that it looked like school room chalk. These are an interesting and delicious spin on the classic “Good n’ Plenty”-but not the same at all. 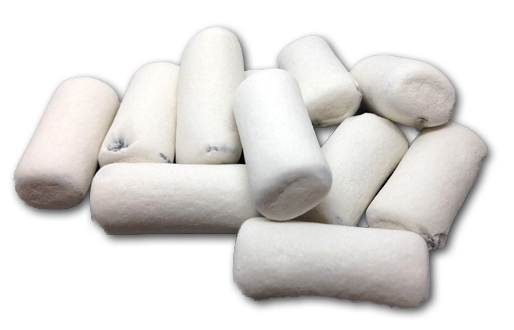 Sure, they look just like chalk. That’s neat. But the special thing about these is the mouthfeel and the taste. These start off as they look, firm, hard. As you bite it, unlike Good n’ Plenty or any licorice like that, it sort of flattens, as if there was a bit of air in the middle. The coating is thin, the licorice inside is somewhat thin and malleable, which makes it fun to chew, and unique feeling in your mouth. Fun tongue play. The licorice itself is classic Euro – woodsy, a touch of salt, especially on the finish, and a classic, fragrant licorice taste. I couldn’t get enough of these-they’re definitely the best new variety of licorice I’ve tried recently. If you’re a fan of licorice, there’s no way you don’t love these. Head to World Market before they’re gone, and do yourself a favor while you’re there-buy a few bags. You never know when they’re going to pull something off the shelves for good. Or, if you’re lazy, like me, click the link below and order from them online. Without waiting IN LINE. Gerrit Verburg also has a variety of Venco Licorice Chalk. I have been missing my licorice snaps, which American candy stopped making over a year ago. This is the closest I have been able to find. Anybody else miss good old Snaps? I’m not sure I ever tried those snaps-but i totally recognize them. 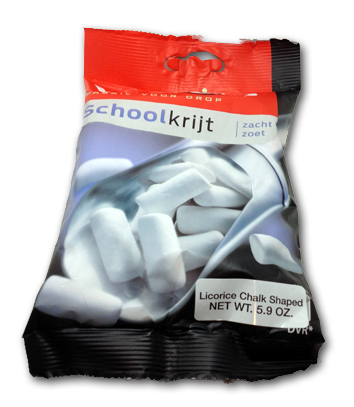 Were they similar to “chalk” style licorice?